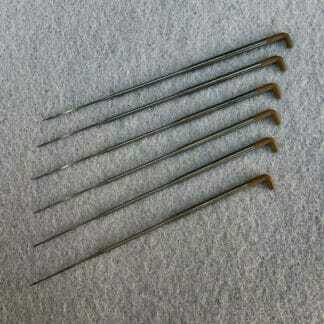 A felting needle has small barbs in the end that, when stabbed through wool, catch on the scales of the fibre and push them together. 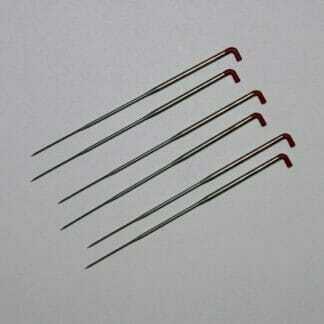 The more and more you stab, the more fibres matt together slowly turning the wool into solid felt. 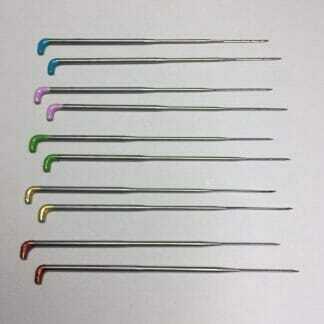 Felting needles come in different gauges. 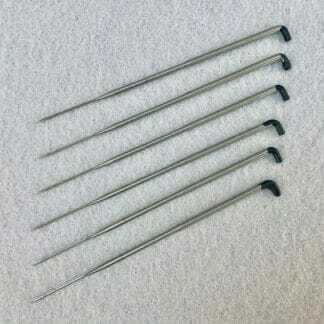 The gauge number refers to the diameter of the needle. 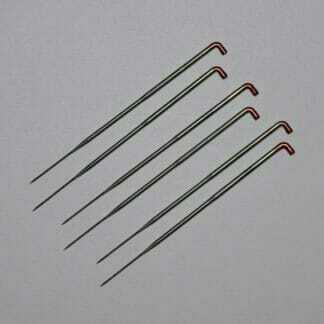 The higher the number, the finer the needle so a 40 Gauge needle is finer than a 36 Gauge needle. 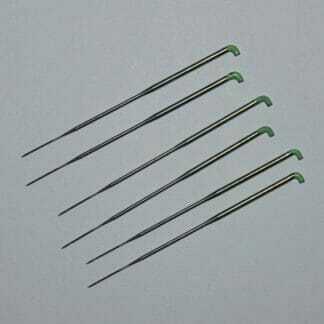 Felting needles are quite delicate and can break easily if used incorrectly. Make sure you are stabbing in and out at the same angle, not twisting or bending the needle. 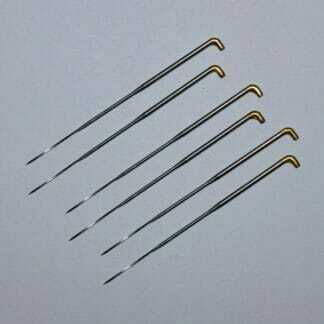 If the needle won’t go into the wool easily, don’t force it. 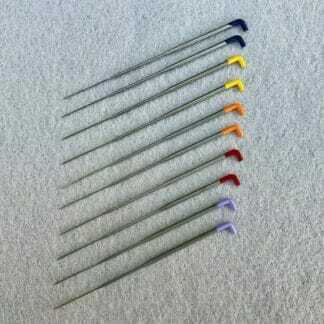 Either change to a finer needle or if the piece is very firm, you probably want to stop felting it to avoid over-felting. 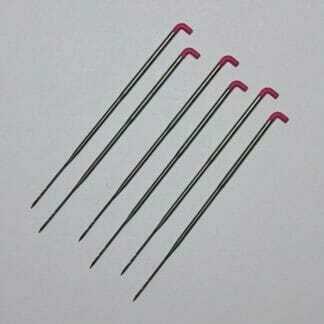 Felting Needles do go blunt over time and much quicker if you’re working on wire or pipe cleaners. 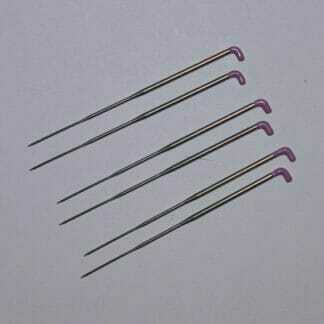 Over time if pieces are taking longer to felt you probably need to change your needle. 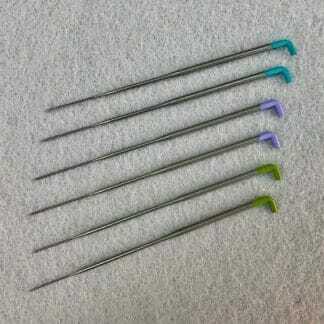 If you need help identifying your Fibrecraft colour-coded felting needles, please see my Fibrecraft Felting Needle Key. 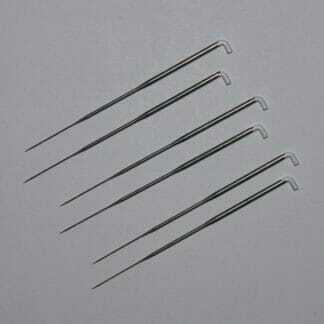 Most commonly used felting needle. 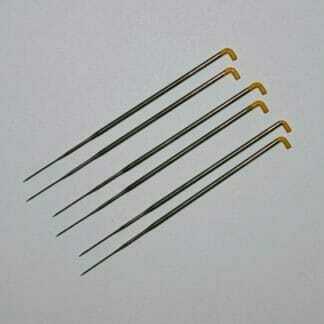 Triangle needles have 3 sides, with barbs on each edge. 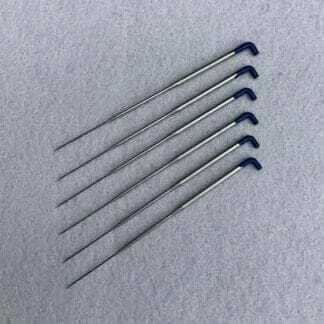 Star needles have 4 sides, with barbs on all four edges, which are great for details and join the fibres together more quickly. 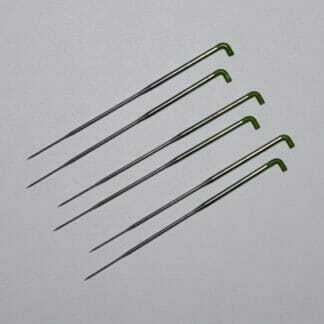 The Speedpoint needles special shape pulls the fibres together more rapidly increasing speed and strength. 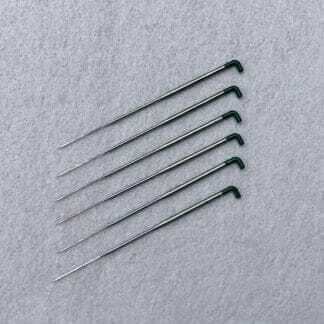 This needle requires less energy to felt the fibres together, therefore you don’t have to poke as hard as you would with a Triangle needle. 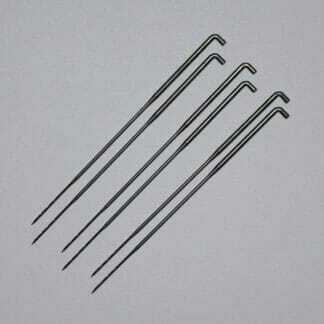 Spiral needles have a twisted blade with barbs on 3 edges. 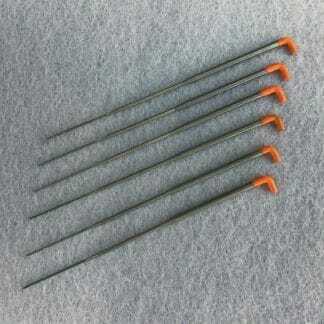 This needle does not leave large dents or puncture marks which makes it perfect for finishing as it penetrates dense firm surfaces. 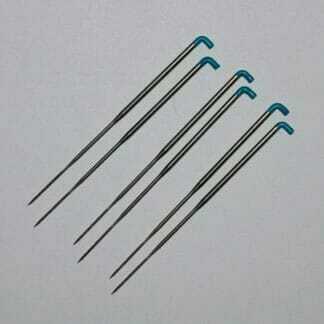 The Reverse needle pull fibres out instead of pushing them in. 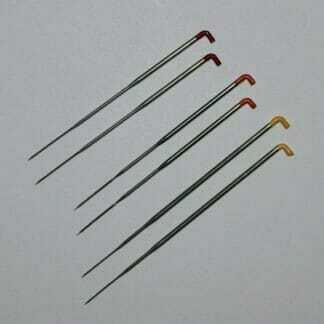 This needle is often used for blending layers of colour to make hair and fur.